Gerrit Roosen, (Gerhard; he signed one of his writings as Geeritt Roosen), born at Altona, near Hamburg, Germany, on 8 March 1612, died there 20 November 1711, a wealthy businessman; one of the industries in which he was dominant was whaling in the waters of Greenland. He lived on Blömken Street in Hamburg. In 1640 he married Maria (Mayken) Amoury, the daughter of the Mennonite deacon and merchant Hans Amoury. His grandmother had had personal contact with Menno Simons. Through his life of nearly a century Gerrit Roosen spent much of his time, devotion, and money for the Mennonite congregation of Hamburg-Altona. He was chosen as deacon in 1649 and as preacher in 1660. For 50 years he served as preacher and from 1664 as elder, delivering over 700 sermons, and defending his flock in all internal controversies and against all attacks by the Lutheran clergy. At the age of 96 he still administered communion. He began a church record of Hamburg-Altona in 1650 and continued it until he was 88 years old. 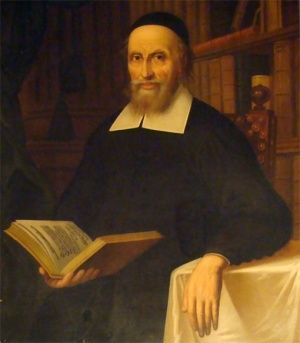 Besides caring for his own congregation, he gave much attention to the brotherhood in general, traveling through Holstein and the Netherlands and in 1676 visiting the churches in Prussia and Poland with Preacher Jan Sibes Potbacker of Harlingen. During their stay of 42 days they visited the congregations of Orloff, Nieschewski, Montau, Kassou(? ), Lunau, Markushof, and Danzig. In all these congregations they administered communion and in some of them they baptized. Roosen was interested in the difficulties of the oppressed Mennonites in Switzerland and the fate of the refugees in the Palatinate. He seems to have promoted the idea of colonizing the Swiss Mennonites in Prussia. Roosen was a man of deep piety and moderate views. He preached in the Dutch language, but gave his catechetical instruction in German. He published a catechism, Christliches Gemüths-Gespräch von dem geistlichen und seligmachenden Glauben (1st edition 1702; it went through at least 22 editions, from 1857 also in English; see Christliches Gemütsgespräch). It was much used in the congregations of Germany as late as the 19th century. He also published a defense of Mennonitism, which had erroneously been accused of Münsterite tenets. This book bears the title Unschuld und Gegen-Bericht der Evangelischen Tauff-gesinneten Christen, so Mennonisten genandt werden (Ratzeburg, 1702). Parts of this book were published in the Dutch language in Schijn-Maatschoen, Geschiedenis III. This same volume also contained a confession of faith in twelve articles drawn up by Roosen from the Dutch Algemeene Belydenissen. Besides this Roosen published Predigt.. . gehalten am Sonntage nach Ostern in der Tauffgesinneten Gemeine (zu Altona) (Ratzeburg, 1702). Roosen retired in 1708. On his 98th birthday he presented a manuscript to his relatives and the ministers of the Hamburg-Altona Mennonite congregation, a kind of spiritual testament, in which he rendered an account of his church leadership. Unable to write because of poor vision he dictated it to a friend. This writing was also reproduced by Schijn-Maatschoen, Geschiedenis III. Roosen made several liberal endowments to the congregation, but he did not forget his home town, partly financing, for example, the tower of St. Michael's church (Lutheran) at Hamburg. Dollinger, Robert. Geschichte der Mennoniten in Schleswig-Holstein, Hamburg und Lübeck. Neumünster, 1930. Doopsgezinde Bijdragen (1881): 36 ff., (1882): 41 f.
Friedmann, R. Mennonite Piety Through the Centuries. Goshen, 1949: 142-51, discusses Gerrit Roosen's writings, their background and significance. Hege, Christian and Christian Neff. Mennonitisches Lexikon, 4 vols. Frankfurt & Weierhof: Hege; Karlsruhe: Schneider, 1913-1967: v. III, 533 f.
Roosen, B. C. Gerhard Roosen. Hamburg, 1884. Roosen, B. C. Geschichte der Mennoniten Gemeinde zu Hamburg und Altona I. Hamburg, 1886: 30, 33 f., 41, 44, 46, 55, 57, 61, 64, 73 f.
Hoop Scheffer, Jacob Gijsbert de. Inventaris der Archiefstukken berustende bij de Vereenigde Doopsgezinde Gemeente to Amsterdam, 2 vols. Amsterdam: Uitgegeven en ten geschenke aangeboden door den Kerkeraad dier Gemeente, 1883-1884: v. I, Nos. 1357, 1422. Schijn, Hermann. Aanhangzel Dienende tot den Vervolg of Derde Deel van de Geschiedenis der Mennoniten .. . in het welke noch Negentien Leeraars der Mennoniten . . . Amsterdam: Kornelis de Wit, 1745: 320-431 (with portrait). R., G. A. and Nanne van der Zijpp. "Roosen, Gerrit (1612-1711)." Global Anabaptist Mennonite Encyclopedia Online. 1959. Web. 24 Apr 2019. http://gameo.org/index.php?title=Roosen,_Gerrit_(1612-1711)&oldid=131446. R., G. A. and Nanne van der Zijpp. (1959). Roosen, Gerrit (1612-1711). Global Anabaptist Mennonite Encyclopedia Online. Retrieved 24 April 2019, from http://gameo.org/index.php?title=Roosen,_Gerrit_(1612-1711)&oldid=131446. Adapted by permission of Herald Press, Harrisonburg, Virginia, from Mennonite Encyclopedia, Vol. 4, p. 357. All rights reserved. This page was last modified on 21 April 2015, at 22:05.